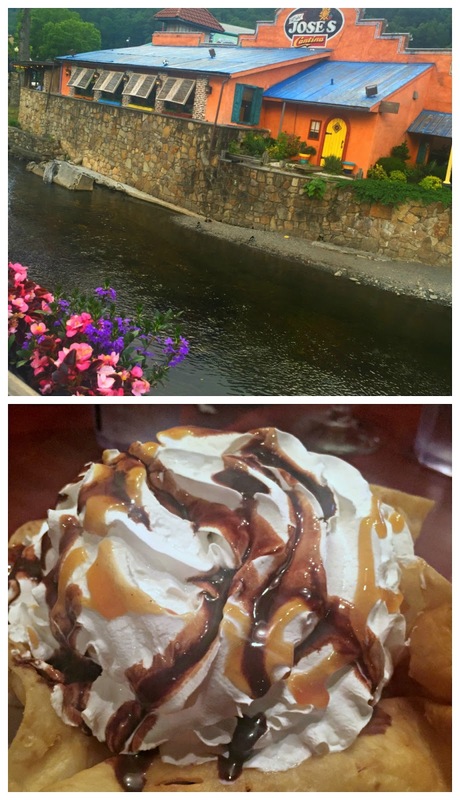 Restaurant Review: Dining in Pigeon Forge & Gatlinburg | The Food Hussy! This has been the week of Pigeon Forge & Gatlinburg! I've shared about Dollywood & the Dixie Stampede as well as all the fun things there are to do! Well today - it's all about the food! I'll be sharing my favorite places to dine in Pigeon Forge & Gatlinburg. There were hits, misses and everything in between - but I've got some great leads for you! First - trout. Like Go-Karts and Dolly Parton - Trout IS Pigeon Forge & Gatlinburg. 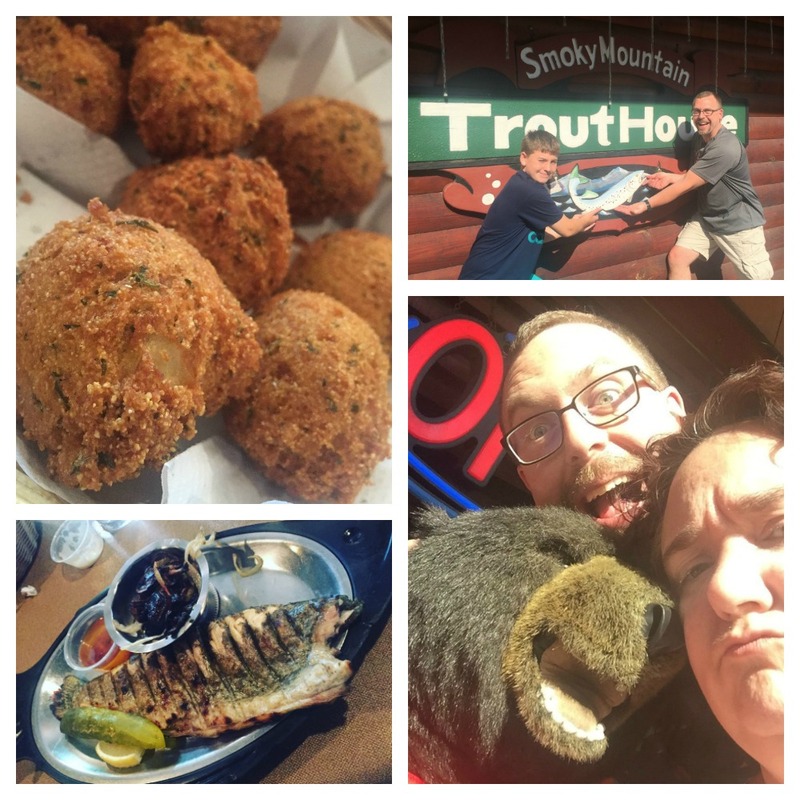 We chose the Smoky Mountain Trout House for our dining experience. It's a tiny little place - looks larger from the outside but it's super tiny and very tight. There is a server that's probably been there for 50 years and she's a hoot. We got these pretty fantastic hush puppies to start with - so good! Then we got salads with our meals - they were better than average for sure (good ranch). I ordered the Smoked Whole Mountain Rainbow Trout served with bacon butter and sauteed mushrooms and onions ($20.95). Why Should You Go? I wish I would have gotten a simple fried trout but all in all - it was surprisingly good. The decor is severely outdated and the tables are too close together. We felt the prices were a bit high as well - but it appears that's par for the course in a vacation town. That said - it's a quality product with ample servings. Another day we came back from some exhausting, heat-filled activity and we were STARVING. The boys decided they wanted pizza so we drove through town and came across Luigi's. We were actually looking for something else but it was so hot and we were so tired - when we saw this - we stopped there and went for it. Parking in the lots near here ranges from $5-10 - the $5 lots are super small and few and far between. The $8 lots are pretty common - just don't do the $10 lot! 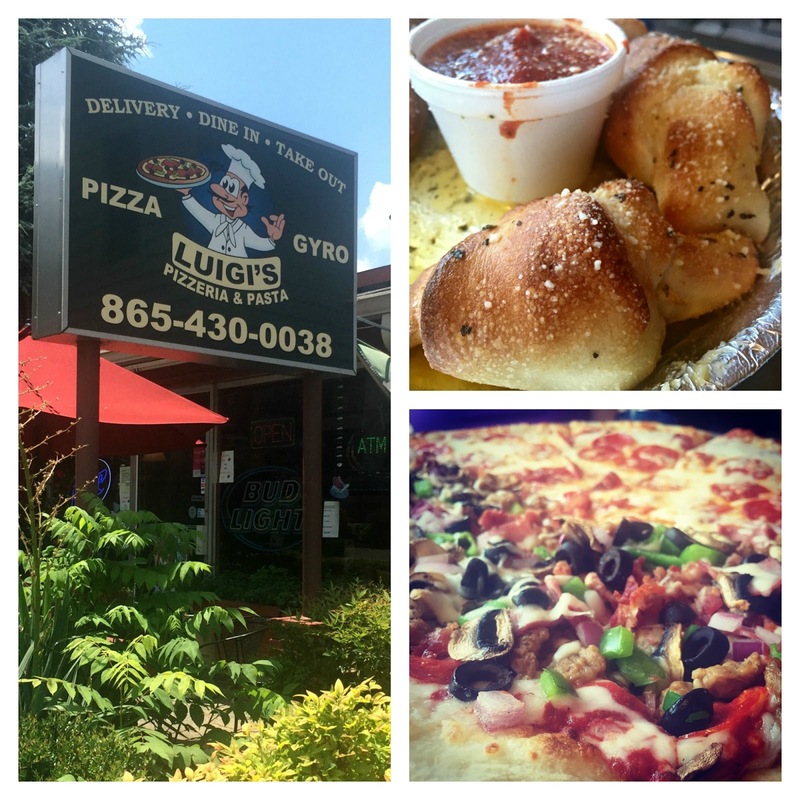 Luigi's wasn't busy but they were short-staffed the day we were there so it took a while to get our food. We considered stealing a leftover piece from the table next to us (they looked like clean people!!). But when the food came - it was worth it! The garlic knots were SO GOOD!!!! I dipped them in the garlic butter in the bottom of the pan - sooooo good! The pizza was good too. Why Should You Go? It's really good! We loved it and because it's not flashy - and kind of on the end of the main drag - it's not as busy! This would be great for a to-go as well - you could call ahead and then just pull in front and pick it up. Get the garlic knots!! 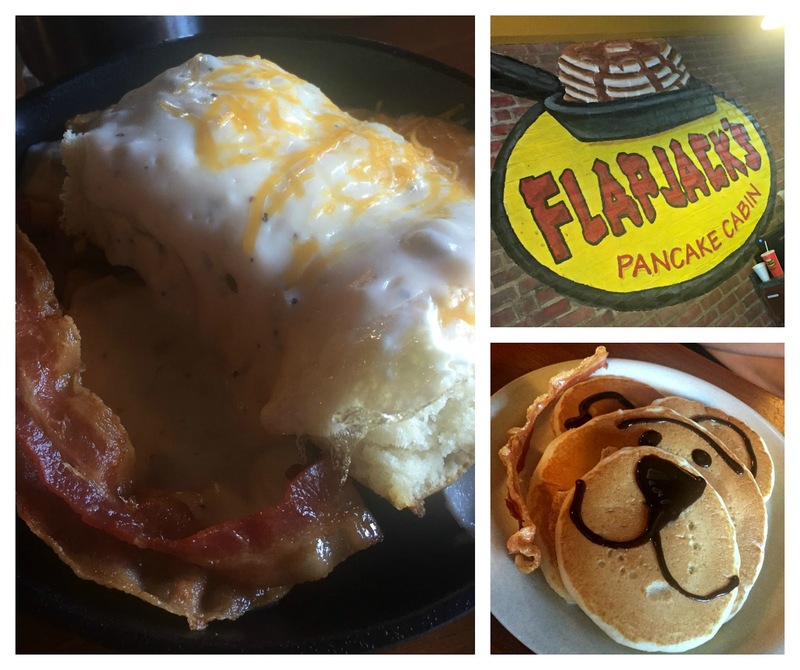 We tried Flapjacks - which is on the front end of Gatlinburg. Actually there's a bunch of them in Pigeon Forge & Gatlinburg - but this particular one was as you're coming into G.
Flapjacks was fine - it was good - Tanner's pancake bear was cute the biscuits and gravy were fine. Everything was fine. Nothing was amazing - but that's ok - it was all good. Good service, good food, clean place. Definitely a solid place. Why Should You Go? It's a good option - very solid experience - I'm sure it's very consistent as well and free parking! My friend Amy recommended No Way Jose's as a great place to grab a drink and people watch. Well - we had a 13 year old with us - so sitting at the outside bar wasn't an option (he couldn't even go in that area???) - so we decided to just eat in as everybody was in the mood for Mexican food. Our food was fine - not the best Mexican by any means - but it was okay. Tanner went for the fried ice cream because he was still full from lunch - and you know what - it was vacation so that's ok! Ice cream for dinner! Why Should You Go? It is great people watching and right in the center of a bunch of activity - so go for drinks for sure! Larry kept going to Dunkin Donuts - we love it and they have donuts he can eat (no eggs) so it's a popular spot. 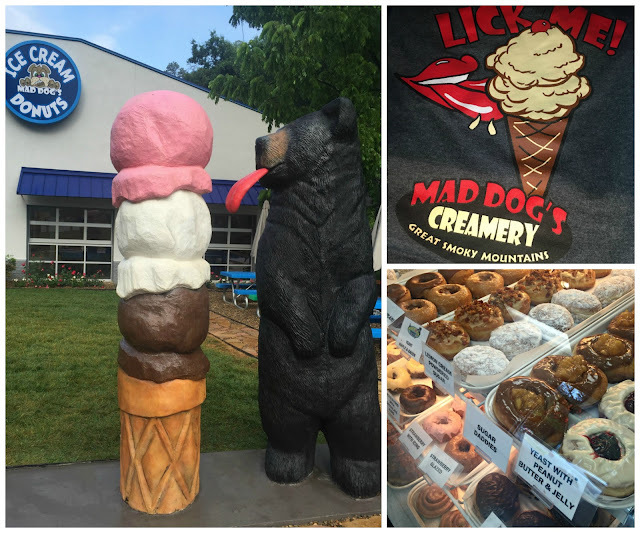 We kept driving by Mad Dog's Creamery on our way to the cabin - so we decided to try it one morning. Well - unfortunately for Larry - all their donuts had eggs - so I got a couple since we were there. 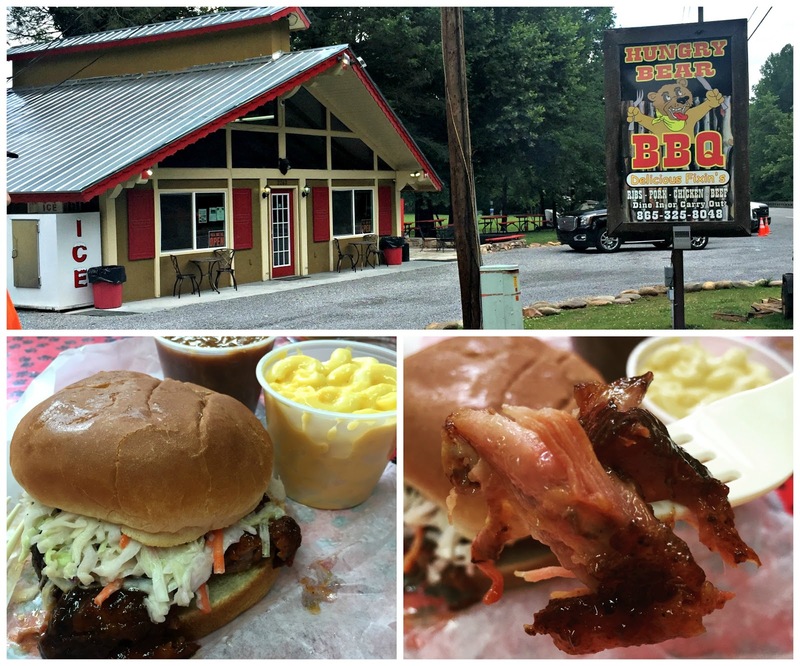 We were heading to the white water rafting place and decided to grab lunch on the way and came across Hungry Bear BBQ (free parking!) looked good and was local - so we went for it. We all got pulled pork - I added the coleslaw and then got mac & cheese and baked beans on the side. The pulled pork was really good - I didn't love the coleslaw. The baked beans and mac & cheese were good as well. Why Should You Go? For me - this was one of the best restaurants on the trip - if not the best. The food was really affordable and pulled pork was tender and juicy. It's a little bit out of town but it's on the way to rafting - so go there too! 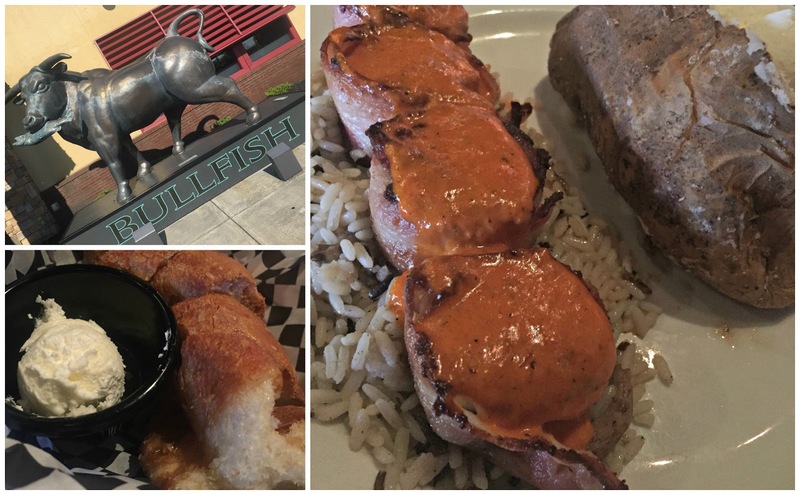 The fresh bread was good - I got bacon wrapped scallops. Really - they were awful. The scallops themselves were cooked ok but they tasted a little gritty and that awful sauce on top was not good. You don't need to cover up scallops with funky orange sauce! Atrium Pancakes is a big ol' diner and they have like 20 kinds of pancakes!! Coconut Chocolate Chip, Raisin-Walnut, Caribbean!! (Those last ones have banana, walnut and coconut!) 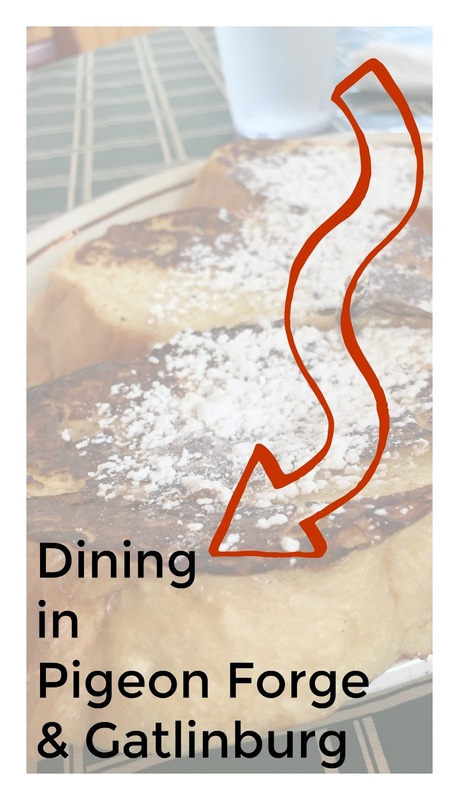 They also have a Baked Apple Pancake which is supposedly famous. Nick got these potato rags - which were basically home fries killed with peppers, onions and lots of cheese. Oh my - they looked amazing! 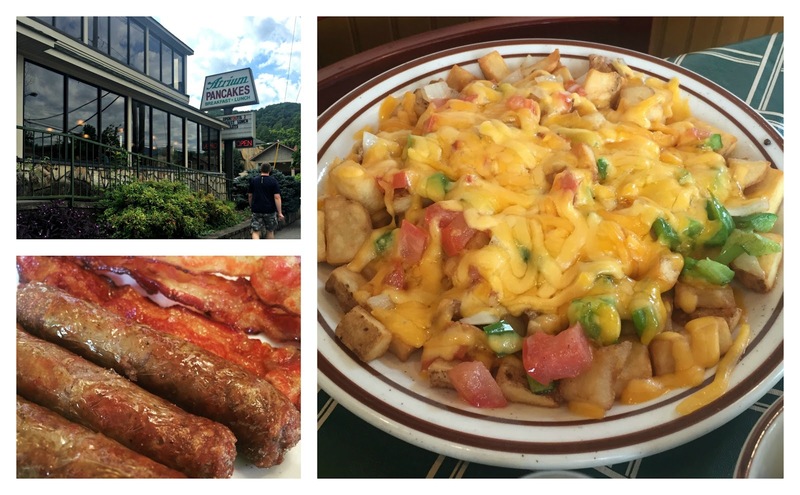 I got an omelet while Larry was on a meat mission with sausage and bacon. Why Should You Go? This was our favorite breakfast place! We loved it and I would HIGHLY recommend it. Find out more about the Food Hussy! We are a participant in affiliate advertising programs designed to provide a means for us to earn fees by linking to affiliated sites.